When it comes to furnishing your apartment, there are a number of brands, materials and qualities that can make the selection process quite daunting. If you’re prone to succumbing to buzzwords like ‘environmentally-friendly’, ‘vegan’ and ‘chemical-free’, our recent discovery of furniture made entirely from mushrooms and wood will likely make your next decorating decision very easy. Sebastian Cox, British furniture-maker known for his work with natural materials, has recently teamed up with PHD researcher Ninela Ivanova to explore new ways of making furniture using only Mother Nature’s organic produce. 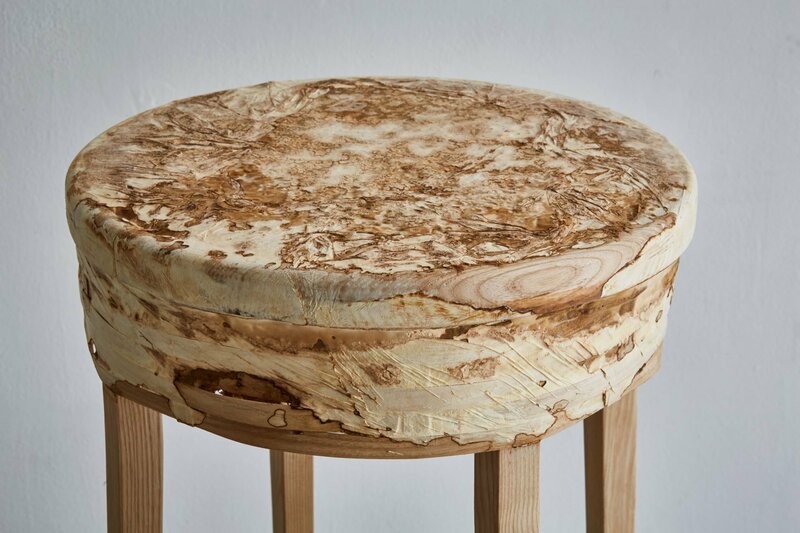 The two ingredients they are focusing on are mycelium, the vegetative part of a fungus, and scrap willow wood, a combination which potentially has a viable future in eco-friendly commercial furniture design. "It's not just about the fungus, it's about the marriage of the two materials," Ivanova explained. "These two materials have a natural relationship in the woodland, so we thought we’d see how we could exploit that." One of Cox’s chief concerns throughout his career has been the widespread use of unnatural materials. This new joint venture, fittingly called Mycelium + Timber, is one of many projects he has been involved with that focuses on sourcing natural alternatives to create more sustainable consumer products. 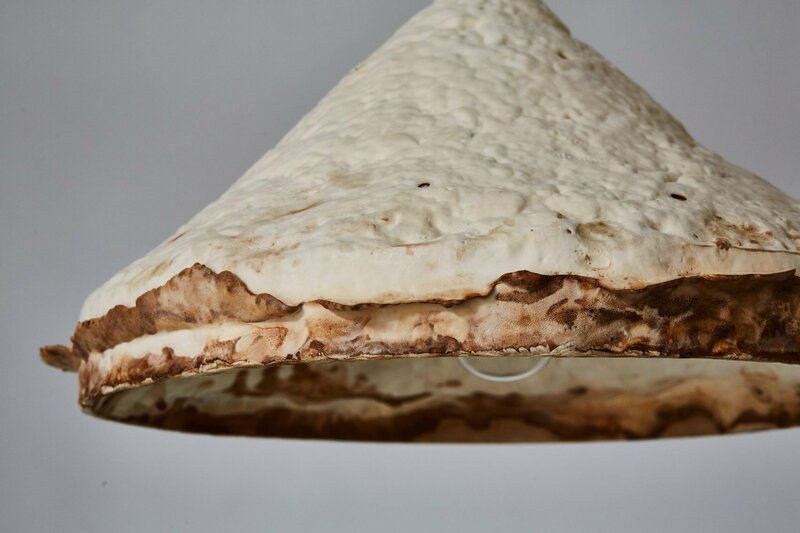 "Mycelium offers us the opportunity to create products that not only continue but advance our ethos of sustainability and test our ability as a studio to design for new methods of manufacture," commented Cox. The collection features a series of lights and stools with a soft texture, designed to blend seamlessly with almost any apartment design or palette. "What really excites us both is how you take this material out of the conceptual phase and put it into people's homes," commented Ivanova. Beyond the feasibility of using the materials to make high-quality furniture pieces that are durable and eco-friendly, Cox and Ivanova wanted to focus on the visual result of combining fungus and wood. "How do you craft the aesthetics to make something that is really beautiful, as you would with any other material?" asked Ivanova – rhetorically, we presume, as the collection is currently being showcased at Somerset House in London, for the duration of the London Design Festival. The furniture is distinctly suede-like and loosely resembles cowhide furniture, a popular stylistic feature, particularly in Scandinavian parts. In fact, if you do choose to invest in this innovative furniture, you would do well to couple it with one of IKEA’s famous cowhides strewn across the living room floor. 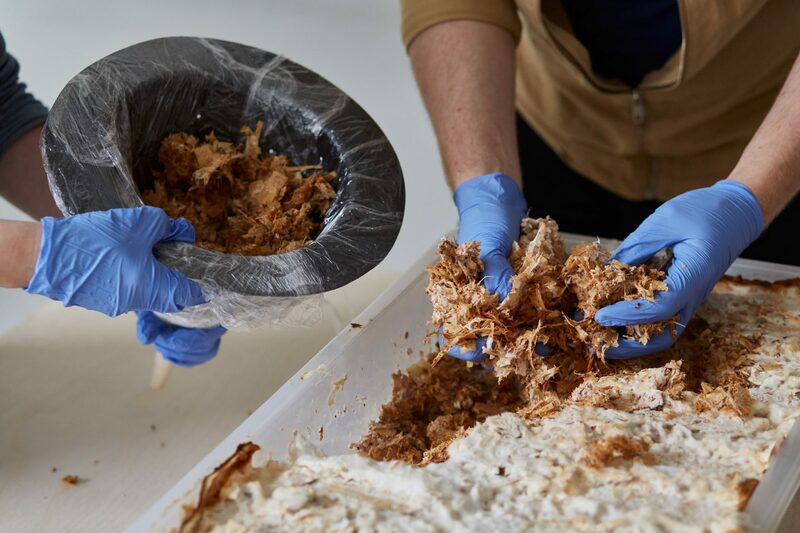 For now, Mycelium + Timber remains on display in London, hoping to win the hearts of British environment-lovers and discerning designers looking for inspiration. 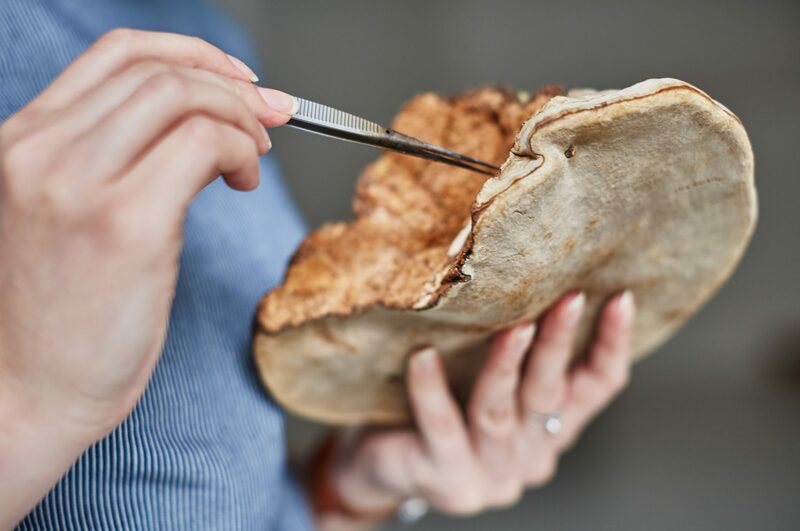 Cox and Ivanova plan to continue their collaboration with the aim of launching a full collection of mycelium and wood composite products in the near future. Read more articles about apartment living and interior design here.